« Episode 68: The Endor Conspiracy! 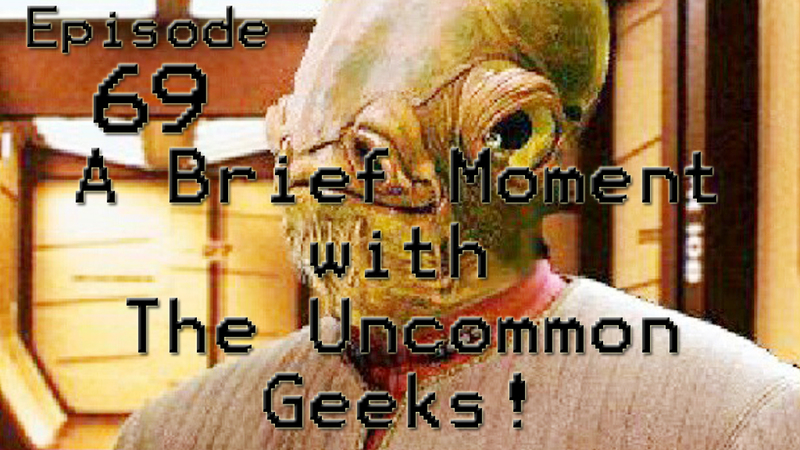 Episode 69: A Brief Moment with The Uncommon Geeks! Today’s episode is short and sweet! Mr. and Mrs. Uncommon Geek sit down to discuss the upcoming Stebbins Con, and then start to geek out about the current super hero TV shows they are watching! Come on out and see them at Stebbins Con on December 5th and say hello! Check out https://www.facebook.com/StebbiinsCon20013 for the latest info!